Ever get the sneaking suspicion your website isn’t built as well as it could be? Or wonder why you aren’t getting more visits from Google or Bing than you used to? 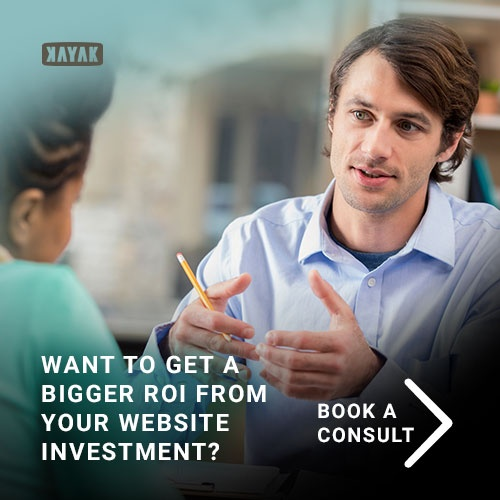 Maybe you just want to double check if that SEO specialist you’ve been paying is worth the money? The answer to each of these challenges (and many more) is likely to be a thorough audit of your website. That means having an experienced SEO look at the underlying code, and deep dive for things like coding errors, link functionality, page loading times, in addition to the usual things like user experience, content quality and relevant inbound links. Imagine for a moment that you’ve got a “great deal” on a website redesign… it looks great, but you aren’t sure how skilled the designer was around SEO or development for that matter. Maybe you are concerned it was generated from an old template, or that your coding team rushed through the process to get it online. With time, updates to plugins, and new content being added to your website, any underlying coding issues are only going to get worse. Work with an experienced team to root out issues early on. They can help you find the kinds of problems that not only slow down your website and cause errors, but also affect your search visibility. SEO is tough, detailed and unforgiving. Many search consultants are good at finding keywords, tweaking content and ordering citations, but lack deeper technical experience needed to dig into the HTML side of things. In that case, they may recommend an in-depth website audit to look for well-hidden problems. Or, you might want to have someone do it even if your SEO advisor doesn’t bring it up, if you get the sense they could use a bit of help. In either case, an in depth audit can help uncover issues that editing content or rewriting page titles can’t fix. Then, the additional time, effort, and money you put into search engine optimization becomes more likely to pay off. Having looked at a few instances when there is an obvious need for a detailed SEO audit, let’s turn our attention to what a website checkup like that actually entails. As I mentioned earlier, it’s essentially a close, intensive look at the underlying code on your website. It’s a way to see things through Google’s eyes, and identify any issues that could be preventing you from ranking highly in search engines. This is by no means an exhaustive list. When you look at it, though, you can begin to understand why the details marketers might not see can do such extensive damage to search visibility, digital marketing, and inbound lead generation. Because these kinds of errors live “beneath the surface” on your website, you aren’t likely to detect them. In fact, your talented web designer or search engine optimization consultant might not know to look for them, either. 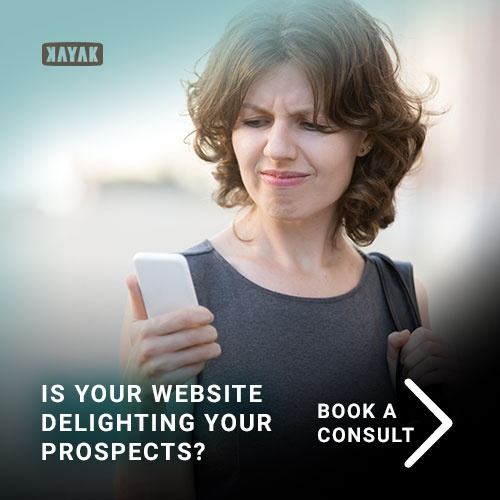 Why guess whether your website is as visible to search engines as it could be? 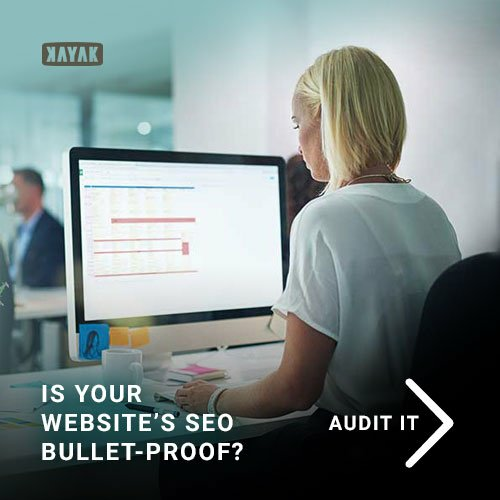 Because we know how important search engine optimization is to the success of your company, Kayak Online Marketing is launching a new technical SEO auditing service. SEOAudits: Audit run for you. Pay Per Service. Order Service. Detailed findings reporting w recommendations. SEO Spyder: Run your own audit. Download App.Desktop App. Ultimate DIY option. Whether you are a do-it-yourselfer, or a marketing manager that just needs to know the findings, and how to address them, all the options will get you the data. What happens next is knowing what to do with it.